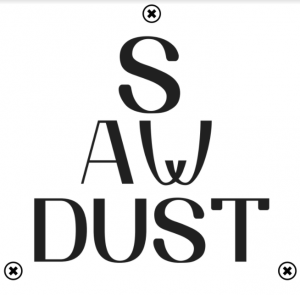 Sawdust.Online speaks about architecture, design, and interiors. 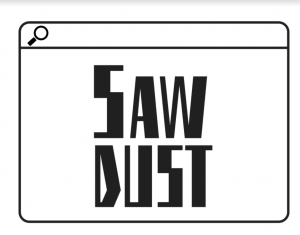 The website needed a typographical logo, something minimal, yet fun that brought out immediately that this was a one-stop resource for discussion about all things architecture and interiors. Most of the logo work I’ve done before has been illustration based, but this was to be heavily typographic. This sounded like a fun challenge indeed. Plus, I love fonts. I mean, who doesn’t? My initial ideas for the logo played with shapes and minimalism, while trying to also bring out the fact that this was primarily a news and current events website. Some of the very first ideas I worked with were heavily based on motifs that conveyed websites and the online world. While I tried to bring in a connect to architecture and design with a very angular font, this was not quite obvious. The website connect, however, was a little too obvious. Another idea I toyed with was that of a nameplate for a door. To make it more minimal, I simply used a screw-head design to suggest this. In the second round of ideation, we decided on a slim rectangular shape for the logo, so as to make it easily fit a website header. With this in mind, I doubled down on hunting for fonts. At this point, the challenge was to convey an almost unconscious suggestion of industrialism and design as opposed to an obvious visual element (such as, for example, arranging the type into the outline of a chair. Yup, that was one of my very first thoughts.). 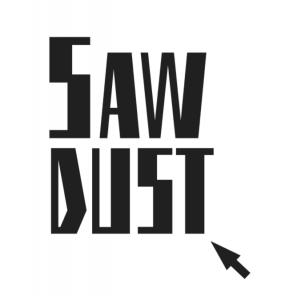 This time around, I delved deep into one of my favourite places on the internet – the font websites – to try and find something that could hint at material of some sort – either metal, or wood, or glass. I could then modify these fonts with shape and colour to create a more consolidated yet simple logo. These two came out of an option that were still a bit attached to the nameplate motif, but also reminiscent of bolted sheet metal. 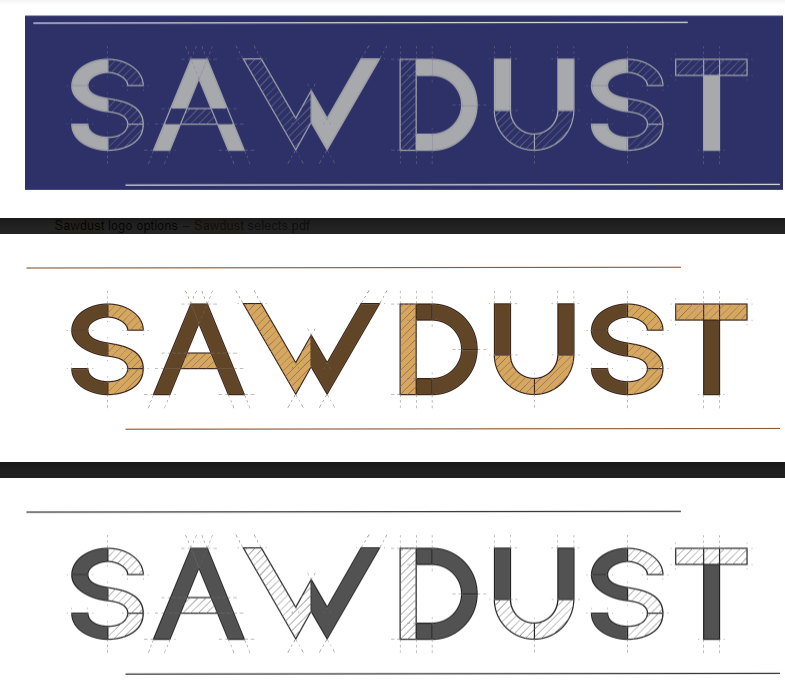 Another option was derived from a font that brought to mind stacked plywood. Maybe only to my mind. But hey, wood! What I liked about this one is that I could play endlessly with the gradient on the different layers. At this point, I also began to explore a motif of blueprints, so I began to work with a font that I felt could not only work as a wooden texture, but also as a blueprint, if treated right. We seemed to have hit on something with the blueprint theme! Finally, the winner of the grand logo battle royale (after a few colour tweaks here and there) immediately evokes a traditional blueprint, both with the easily recognisable colours as well as the treated outlines. For me, the entire process was a learning experience, to work with very definite briefs and constraints and to bring out a sense of the website’s content, tone and nature using only linear typography. It was definitely quite the journey from start to finish, and I got to add a LOT more fonts to my arsenal! Never miss a blog post from Bee. We write about marketing, storytelling, brands, keeping promises and small business. Sign up to receive our updates via email. Filmmaker. Illustrator. Animator. Pai is a visual storyteller who spends her days figuring out how to tell her stories effectively in several mediums. The important stuff, all in one place. All about our purpose, our process and how we can help. Explore our projects or read our latest riff. If you want to talk to us there's email or LinkedIn.